**The original version of this post appeared on Land Yoga’s Blog in July, 2018. Summer is in full swing, and chances are if you haven’t already been on a boat, train, plane or in a car, you will be in the coming weeks. Vacations are a wonderful privilege; a great time to unwind from the ordinary, spend time with loved ones or even explore far-away places. But what about your yoga practice? Carefully cultivated throughout the year only to be lost while you’re out of town for a few weeks? I’ve just returned to my regular NYC routine after five wonderful weeks out of town in Israel (for the Israeli version of our wedding and a family trip), Greece and Italy (for our honeymoon). Taking my practice on the road isn’t always easy, but it’s always worth it. I find the benefits of peace of mind and a healthy body far outweigh the hassle of finding time to unroll my mat while on vacation. Here are my top tips for keeping the prana flowing while out of town. 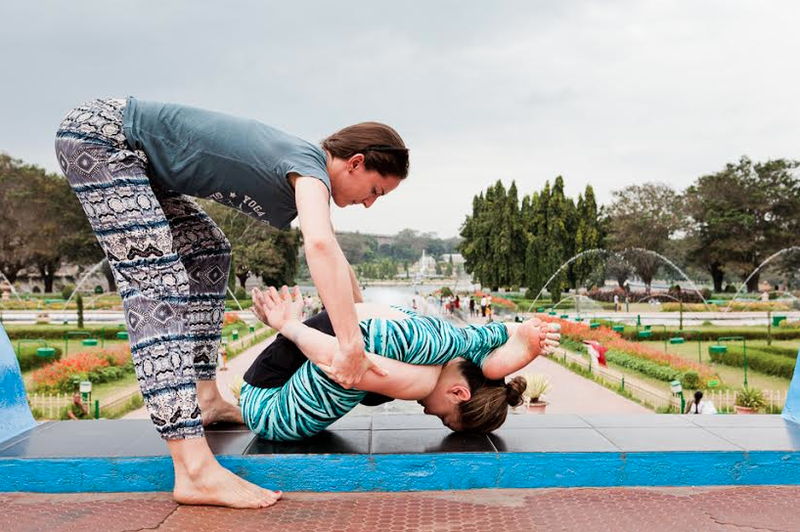 Mysore-style Ashtanga Yoga is a wonderful tradition ready-made for travel. Since we spend time in class slowly learning, internalizing and memorizing the sequence, we’re not dependent on a teacher’s counts or instructions. This means that with a little dedication, you can keep practicing almost exactly as you would while at home. If you’re new to the method and have any questions or uncertainties, talk to your teacher before you leave for advice on what exactly to do. Similarly, if you’ve recently started learning a more complex or intense posture, ask your teacher how you should approach it while away. 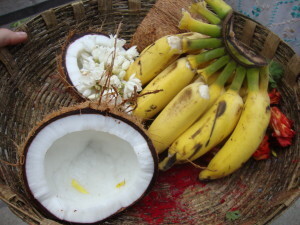 Traditionally Ashtanga yoga is practiced in the early morning, under the guidance of a teacher, six days a week, taking one rest day (usually Saturday or Sunday) and the new and full moon off. This is an ideal guideline, however, I advise that when you’re out of your regular routine on vacation, that you remain flexible! Don’t beat yourself up if you miss a day (or a few days!) or shorten your practice* to fit the available time between beach trips, or even switch around your rest day to fit activities or outings better. The important thing is that you keep some kind of consistency, even if it’s slightly different than you might keep at home. On my recent trip, I practiced six days a week, but it wasn’t always at the same time of day, nor did I push myself to make it through my entire practice each day. Instead, I flowed with the plans of the people I was visiting; fitting in my sadhana before breakfast or while everyone else was taking an afternoon nap. On those days I found it hard to stay motivated, I turned my thoughts back to my teacher, Sharath, in Mysore, and to my students at home in New York. Re-focusing on my teacher’s encouraging voice and my community always helps me keep my dristi. Plan ahead. Take a look at what you have on your travel itinerary and make sure you carve out some time for practice. But be realistic…If you have an early morning trans-Atlantic flight which requires you to be at the airport two hours ahead of time, plus a layover and possible jet-lag, seriously consider if it’s realistic to be up extra early for practice! Maybe it is – but my point is not to set up unrealistic expectations for yourself and feel like you’re letting yourself down when you fail to meet them. 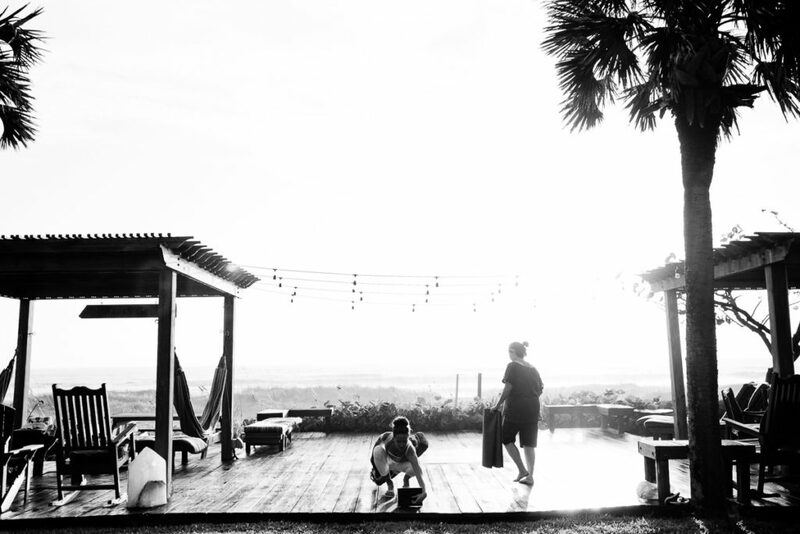 Tell the friends and family you are vacationing with about your dedication to your yoga practice. If others know, they’ll be more supportive of helping you fit it into the routine, and more likely to understand when you turn in an hour early, maybe skipping that extra helping of gelato. 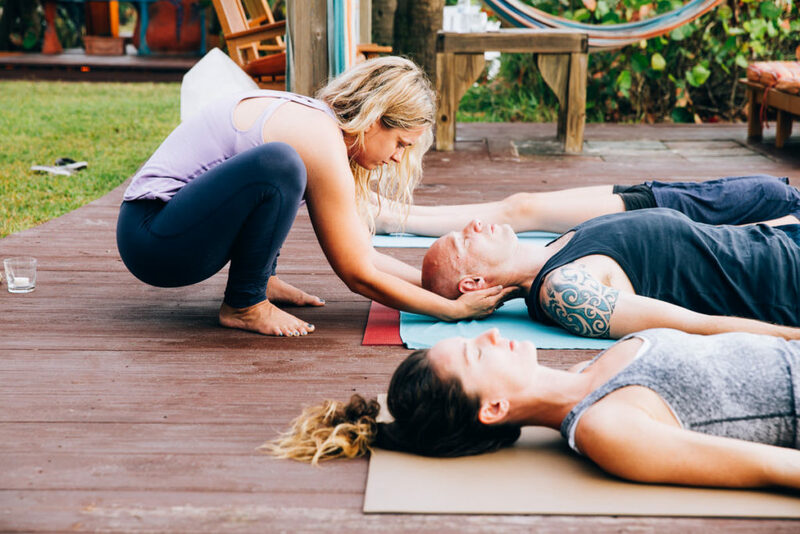 Consider inviting loved ones to join in with your practice if they’ve done yoga before (or even inviting them to do a different physical activity or meditation while you’re on your mat). Sharing your healthy habits might be the inspiration someone else needs to make a positive change. I was lucky enough to practice with both my mom one morning and my dad another while on our family trip around Israel after our wedding. Both have done yoga before and were happy to practice alongside me for a short time while I completed my longer practice. My husband also has an Ashtanga practice, and we made it a priority to practice together on our second wedding morning in Israel, and several other times throughout our honeymoon in Greece and Italy. One of my favorite things about visiting a new city is dropping into a local Yoga Shala. 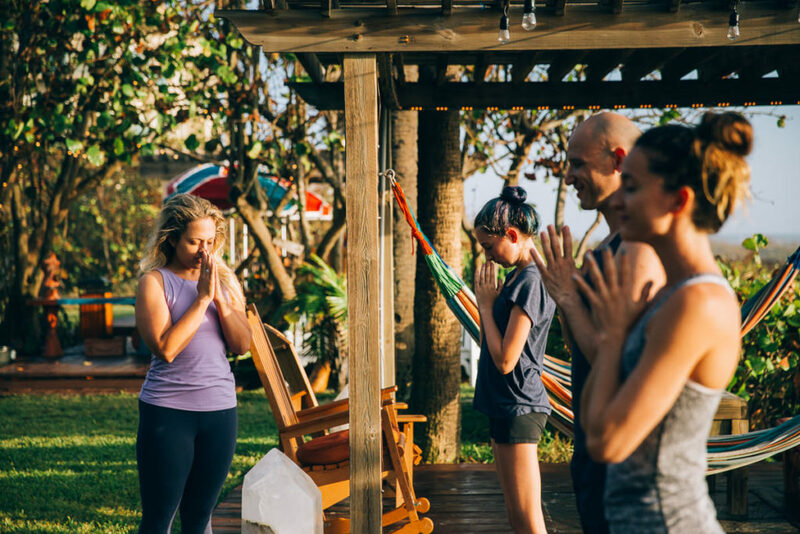 Visit kpjayi.org for a list of authorized and certified teachers around the world, and do a quick google search of the area you’ll be visiting to see if there are any studios offering Ashtanga classes. It’s always a good idea to email the studio in advance to ask if they allow Mysore drop-ins for visiting students and to inquire about any special policies. 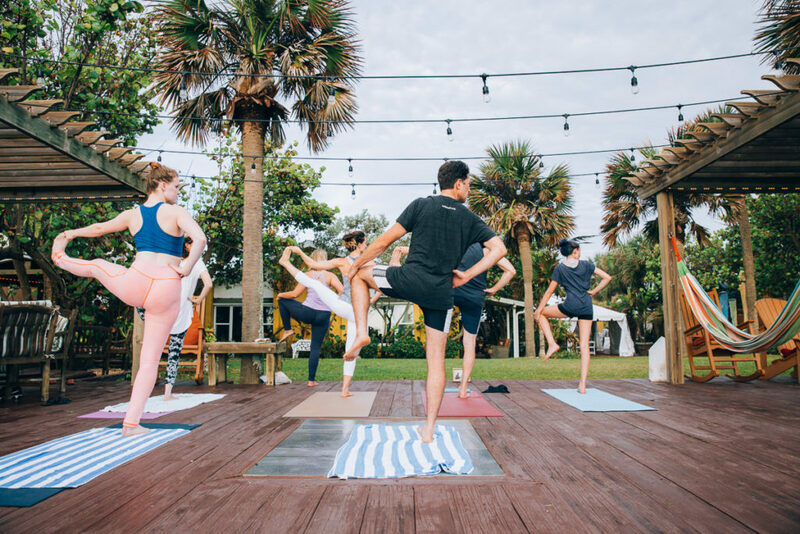 At Land Yoga, we’ve had traveling students from Japan, Brazil, Denmark, England and all over the U.S. just to name a few! Taking a class at a studio is a great way to meet locals and get off the beaten tourist path, plus it offers a chance to reconnect with the group dynamic. During my recent trip, I took a class at Ashtanga Yoga Tel Aviv where I’ve practiced and taught before. It already feels like a yoga home away from home in Israel! I even took a class at a small, new outdoor yoga studio on Milos, the Greek island we were vacationing on. Yoga Journey Milos offered a great outdoor yoga experience on a secluded beach overlooking the sunset. Back in Athens, we dropped into Mysore class at Ashtanga Yoga Athens 2002. I loved waking up early before a day of sightseeing in Athens and navigating through the sleepy streets to practice. My hotel’s front desk was happy to offer advice about the best route to walk and where to grab a coffee. 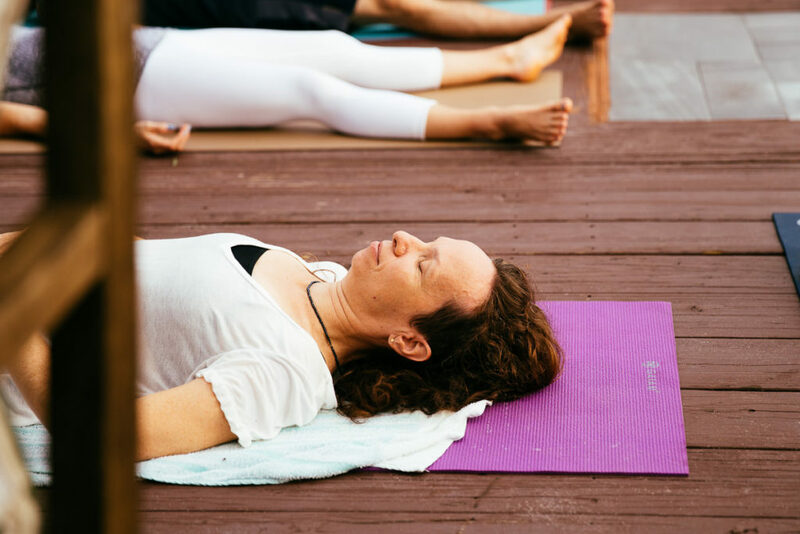 I’d emailed the studio in advance, and the teacher was happy to welcome me in, where – although thousands of miles from New York – I felt right at home among the ujjayi breathing and the smells of Mysore Sandalwood incense. One last word of advice: get a good travel yoga mat. At Land Yoga we sell the Manduka eKO SuperLite mat which folds flat like a thin towel, making it perfect to pack in a suitcase. I use my thicker Manduka Pro mat, even for travel, and have invested in a backpack with buckles that allow it to be strapped and carried right on the plane! Happy travels, yogis! * A note on shortening your practice: I advise asking your teacher personally about this, but in general, if you’re short on time don’t rush or skip postures. Instead begin your practice as normal, taking the correct number of sun salutations and breaths in each posture. Do the series you’ve learned in order, and when you only have 10 – 15 minutes left begin the finishing series. Depending on the time you may choose to complete the entire finishing sequence or move directly to the final three finishing poses. Always make time for rest at the end. Michael and I were deeply thankful to open our wedding day with an Ashtanga Yoga practice. 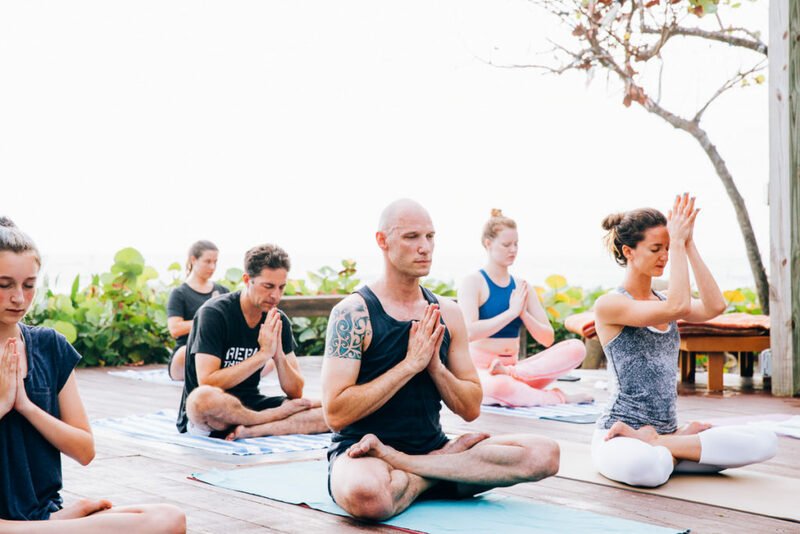 I knew yoga would be a part of our wedding weekend since we began planning the celebrations almost a year before, but it wasn’t clear how exactly it would fit in – would I teach? Would I do my own solitary practice? Or offer a guided yoga class for guests taught by someone else? Eventually we decided that, like everything else in our wedding, we wanted the yoga practice to be about relaxing and joining together. I asked my dear friend and colleague Shanna White to teach an open level class for anyone who wanted to practice together with us. 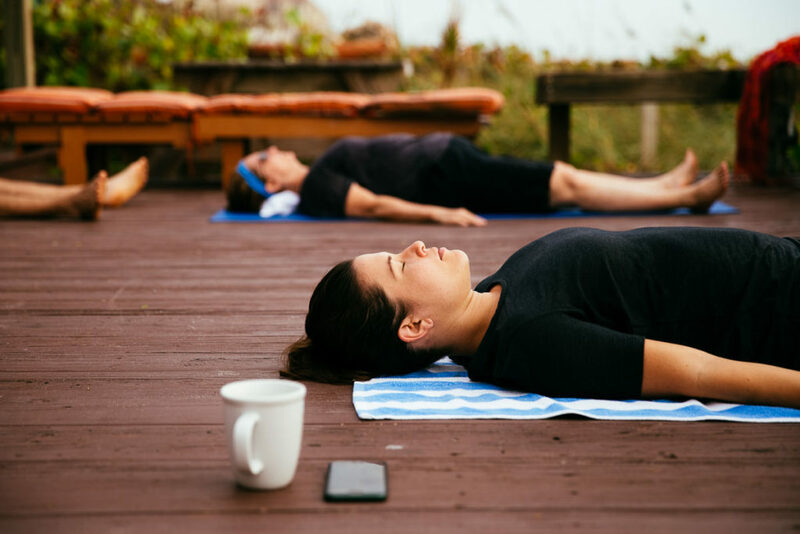 So, next to family and friends, we rolled out our mats just after sunrise on the deck to move, breathe, chant and sweat along with the sounds of crashing waves. Shanna’s guidance set the perfect tone for a day of love, union, reflection and relaxation. The class is such a special memory from an absolutely fabulous wedding! 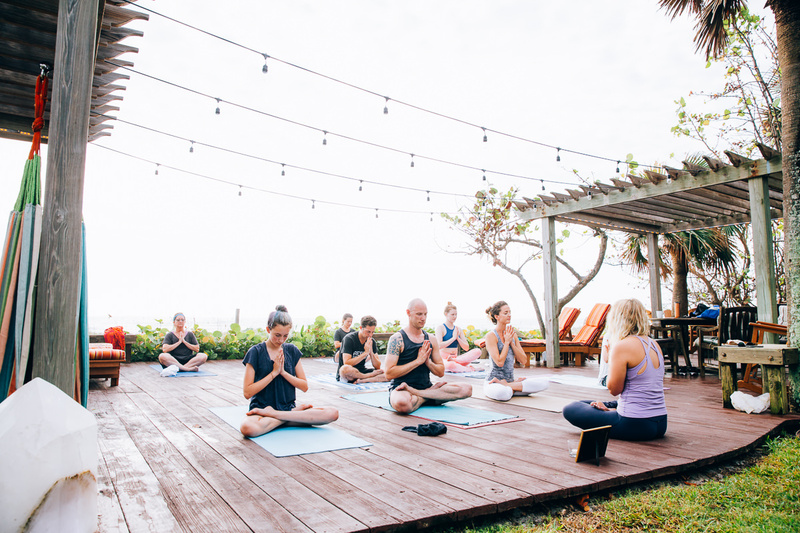 I highly recommend taking the time for your yoga practice on any big day, a wedding, holiday or special event – those days when you might think you’re too busy with planning or too excited from the anticipation to stop and breathe for a second are the days you need it most. This is photo was taken in front of that beautiful historic theatre where I became who I am. This is the stage where I sang my first solo, performed my first leading lady role, learned to dance, and really, learned to live. I spent nights and weekends here. I worked my first real paying job in the box office. It was just down the street in a small studio where I took my very first yoga class. 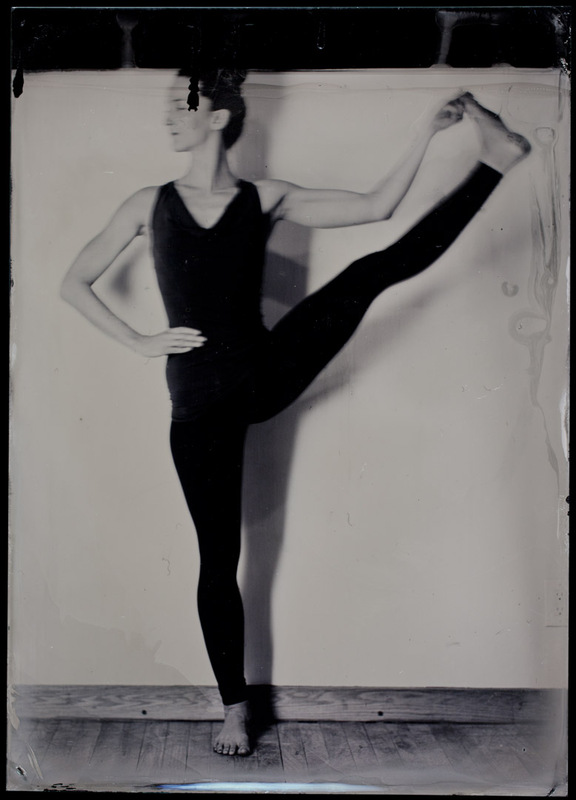 (And in fact, I taught some of my first yoga classes in the dance studio annex during my first teacher training!) I sweat, I studied and I grew up in this place. Twelve years ago I performed the role of Chava, one of the sisters, in Fiddler on the Roof for 31 sold out performances (performing for over 15,000 people) and last week I was in Florida to see the magnificent revival of that show. I feel more like an alumna of this theatre than my high school or even my college and know that my experiences there paved the way for my path of yoga to begin and evolve. Do you have a place like that? Assisting the beautiful Ainia into Supta Kurmasana. A crisp, clean shot is all about the little details. Acting as wardrobe for the lovely Elena in Natarajasana. We drop back with a little help from our friends: helping in urdhva dhanurasana. Location scouting, lighting and composition testing and bovine monitoring. 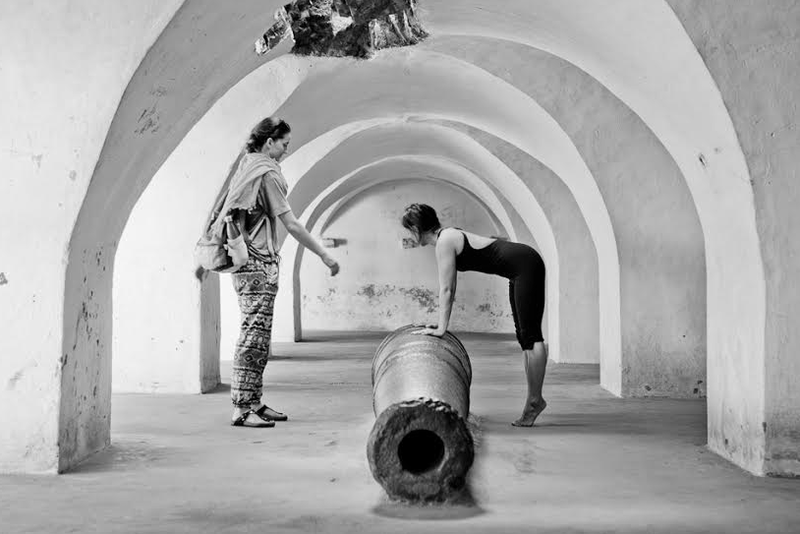 Sometimes we decide it’s a good idea for Laila to try bakasana on a cannon. In these cases I’ll be there, just out of frame, to make sure the she doesn’t tumble down (she didn’t and it was a gorgeous shot). Overjoyed to take a huge group of Land Yoga students to one of Sharath’s classes here in NYC! Sharath’s September 13th Class in NYC. lululemon Lincoln Square: March Studio of the Month! 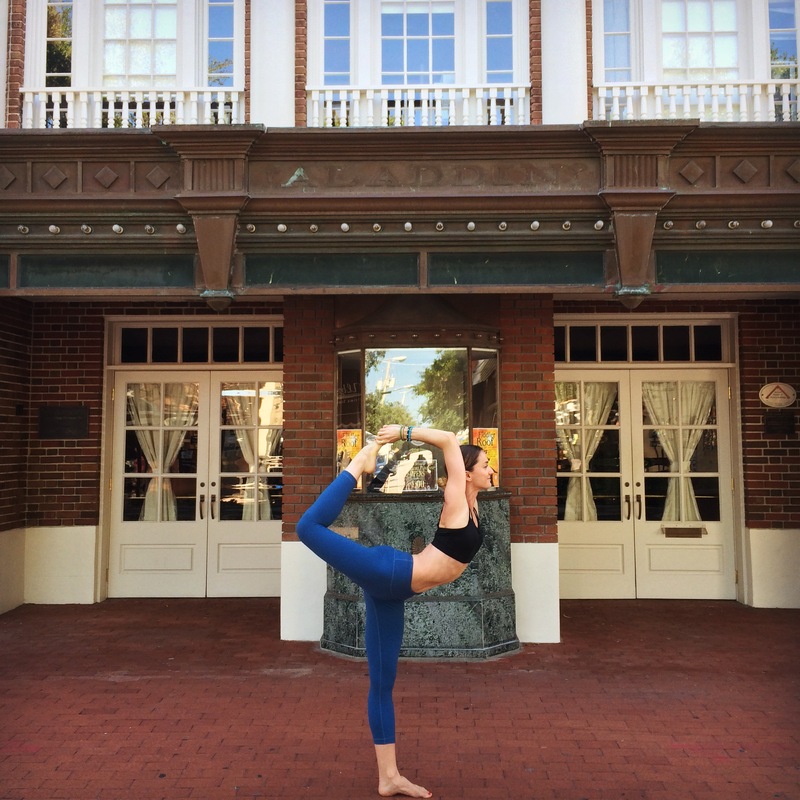 Studio owner Lara of Land Yoga has been chosen to be lululemon Lincoln Square’s newest ambassador and to celebrate we’re featured as the studio of the month! 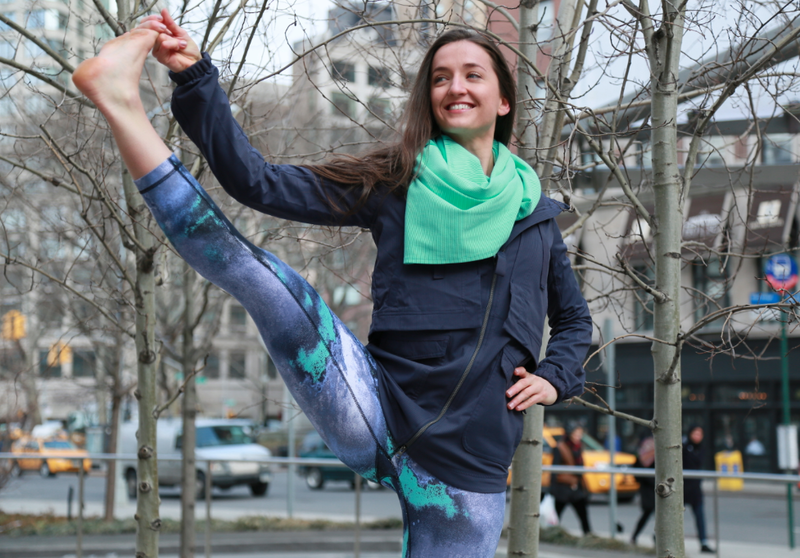 Every Sunday in March you can catch either Lara or I teaching a FREE Sunday Salutations class at the 1928 Broadway location (near 64th street). Class starts at 9:30am sharp – and they fill up so get there early! Last week there were over 35 yogis in the store for my class. I was also asked by the nice folks down there to be a ‘new product model’ for their February 26th newsletter (which also happens to be my birthday, fun surprise:)) which went out to over 19,000 people on their mailing list. Check out the newsletter, visit the store for some new yoga gear, and come join me for one of my FREE classes, schedule is on my Teaching Schedule page! I’m inspired every day, which is a wonderful thing to be able to say. But even amidst the inspiration, it’s easy to get caught up in the mentality of New York life…the excuses of inaction roll off the tongue easily: I’m too busy. I’m so tired. I’m broke. There’s not enough time. Where is that magic moment when inspiration becomes action? For me, sometimes it takes just a little extra-ordinary moment to push inspiration towards motivation and finally action. This month was certainly packed full of those little something extra moments. I was able to take a few workshops that seemed perfectly timed to motivate some positive action before my third trip to India. Early in the month I enrolled in an anatomy workshop at my home studio, Land Yoga. Noah McKenna was in the US (visiting from Mysore, Inida, where he lives) and we were lucky to have him give a short weekend workshop on how anatomy and asana yoga blend together and inform each other. I’ve taken anatomy before, but I was really inspired by the way he blended yogic philosophy and practice with practical anatomy ideas. Asana in the Human Form, as his classes were collectively called, took us through the body: symmetry, posture, the skeleton, muscles, connective tissue and the nervous system (to name a few places we explored), and constantly connected back to the ways that asanas fit into the broader experience of what yoga is. I left the weekend with a refreshed sense of some fundamental ideas on anatomy, but more importantly, with a serious inspiration to continue to treat my personal physical yoga practice with a deep awareness. Two weeks later, right on the heels of the anatomy workshop, I made a trek from NYC out to Montclair New Jersey for a weekend workshop with Kino MacGreggor at Ashtanga Yoga Montclair. 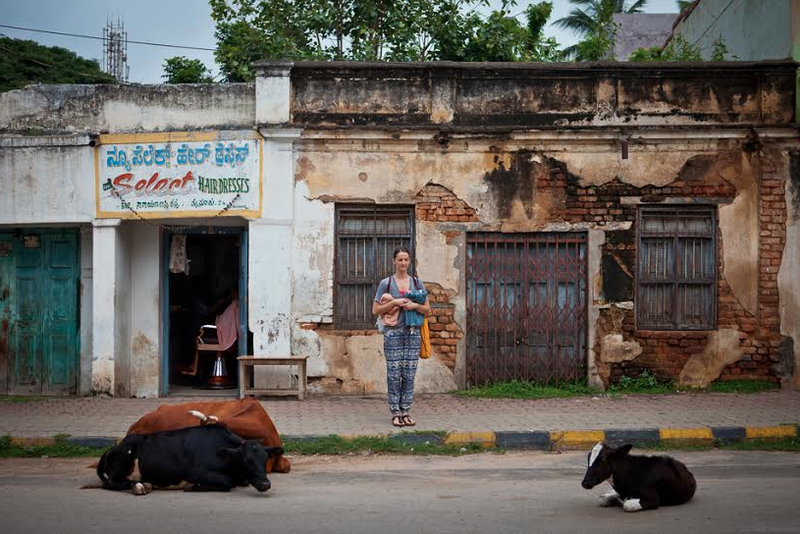 A lovely friend I met in Mysore, Deb Williams, organized the workshop, and it was a nice chance to reconnect with her and see her shala (which, sidenote, reminds me so much of the first shala, Urban Ashtanga, in Orlando Florida where I learned the practice). The fall leaves were beginning to show autumn color in the quiet town, and it was a definite pace-change from the constant busy rumble of the city. Kino was…well…just like her YouTube videos, which is to say: positive, informative and extremely well spoken. She was also tough. In addition to Led Full Primary Series and Mysore style classes, we spend time on headstands, Intermediate Series and twists. The Intermediate session was wonderful, because it was a chance to work on some of the postures I’ve most recently started to tackle. But I most enjoyed the headstanding workshop. Closing postures, where sirsasana is practiced in Ashtanga, are often a time I personally find myself rushing. In the class we prepared and took an extended hold in the posture, over three minutes, which is the minimum time the Hatha Yoga Pradipika recommends you stay in the pose to reap benefits. A simple encouragement like that inspired me to start making more time in my day for closing postures, and I’ve been holding headstand longer since. And it feels amazing. Adjustment with Kino in Dhanurasana. So as the month comes to a close and I look ahead to November, with some more subtle awareness in my practice and more time spent upside-down, I can say that I’m finally ready to start thinking about trekking across the globe this Sunday to study for five weeks in Mysore. 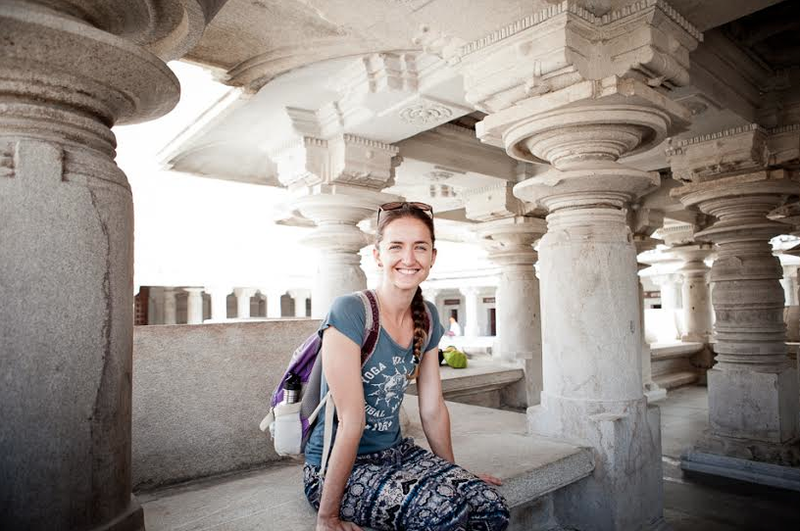 Journeying to India each year has become sort of a second new year for me, a time to take a look at my personal resolutions and motivate the inspiration I experience throughout the year into action. Staying in Mysore is like one long extraordinary moment of inspiration that can really impact my actions for the rest of the year. So my intention for this journey is just this: to allow the simple experience to inspire and motivate me, and take action to more fully live my wonderful life. I can’t wait to share some of my experiences with you! This year in addition to studying asana with Sharat at the KPJAYI Shala and continuing my chanting and Sanskrit classes with Lakshmish, I’ll hopefully be taking some more anatomy with Noah, and beginning studying the Yoga Sutras with a highly recommended teacher. Stay tuned for weekly blog updates here on my site and daily photos on both Instagram (@danaelyseyoga) and on Facebook (on my page Dana Tarasavage Yoga & Pilates). A special thank you to my amazing student Paula, without whom this trip really would not have been possible! 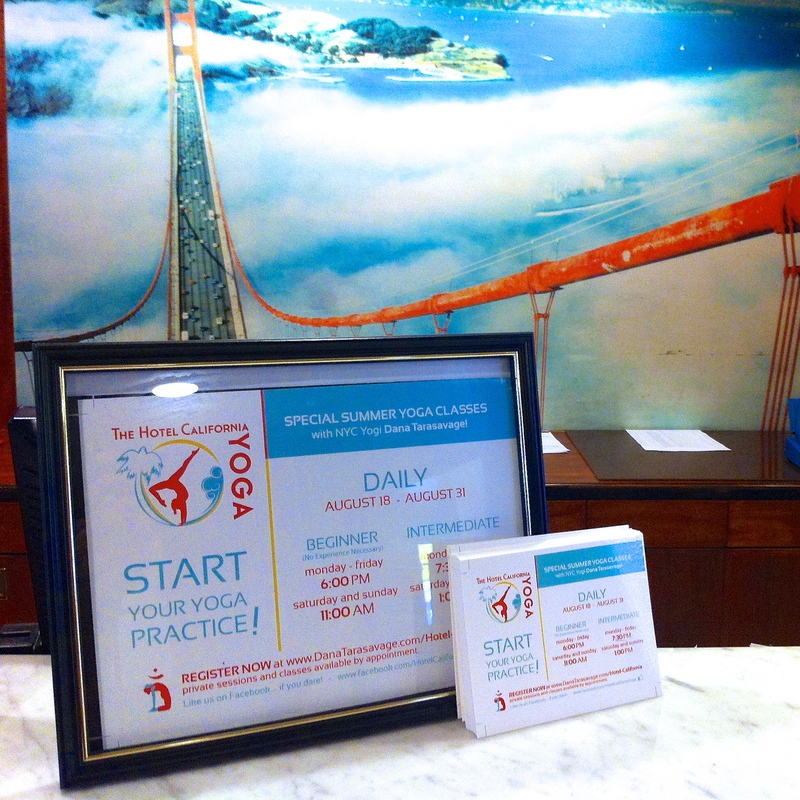 Yogi in Residence: Hotel California Recap! I’m just returning to New York from San Francisco where for the past two weeks I’ve been running the first Yogi in Residence yoga class program at the Hotel California. It’s been an amazing and inspiring experience exploring a new city and teaching a new batch of yoga students from all over the world! I flew in on a Saturday evening and took a cab to the hotel. Although I’d been warned about San Francisco’s unusual summer weather, the foggy, cool city surprised me! I bundled up and met my yoga student from New York, Paula. She was there to share a late dinner at the hotel’s restaurant, which happens to be one of the best vegetarian restaurants in the country, Millennium. Besides being vegetarian, which automatically gets a restaurant points in my book, Millennium has an absolutely delicious, creative menu. I had sweet corn cake, eggplant bruchetta, pistachio-stuffed dates and a glass of wine from their extensive organic selection. Needless to say I slept well that night! I woke up the next morning in a cozy yellow Hotel California room. After breakfast I went up to the mezzanine level to see my yoga room! The hotel is a beautiful, older building with mahogany details, gilded mirrors and leather club chairs. My yoga room was to be one of the two open rooms on the mezzanine level. The first is a cheery yellow with windows along one wall and an open doorway and then second is red with golden mirrors and a smaller window. After a little experimenting, we decided to use the red room, which was a bit more private with a very warm, strong energy. Classes started that morning and ran every day for the next two weeks. I welcomed yoga students into the warm, red, mirrored room who ranged from hotel employees to guests, locals to backpackers, college students and expats visiting San Francisco from around the world. Most of my time was spent on the beginner’s level class, teaching foundations for a focused, meditative asana practice. Students working on basic backbending in beginner’s class. About halfway through the two weeks, we headed over to the local Grant Ave lululemon where I’d been invited to do a demonstration in their window to help promote classes. I got set up in some of their new fall gear, hopped on a mat and flowed through an Ashtanga demonstration. I always love doing lululemon demos. The store employees are just some of the most positive, enthusiastic people I’ve ever met! I know I can walk into any store and get a smile. Urdhva Danurasana with a mini audience at my lululemon demo. 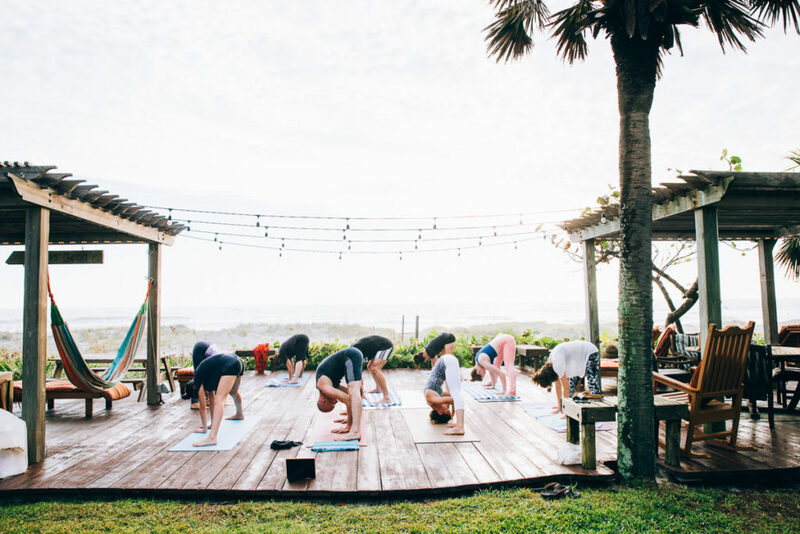 The most exciting thing for me as my time as yogi in residence was to be in such a yoga-friendly hotel, and how quickly a positive community can start to build. This world is full of lovely, inspiring, warm people if you open your life to them. See you soon San Francisco…Namaste! Check me out on Harlem Gal! Check it out and share the love! Harlem Gal gave me the nicest shout out on her site! 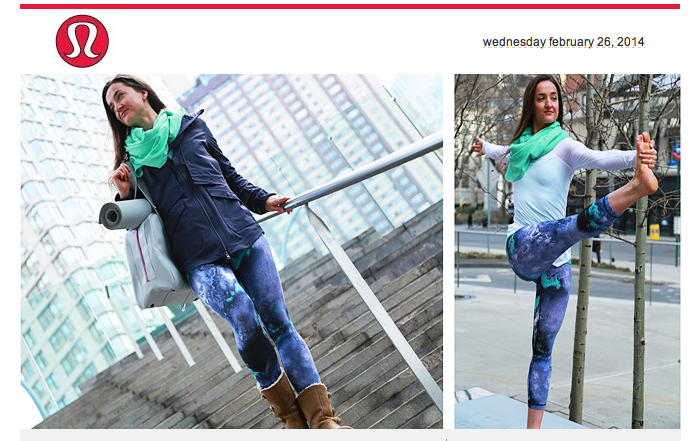 She’s a devoted yoga practitioner and featured my Yoga Journal photo on her fantastic Harlem local blog. My friends and I are always reading her blog to find out what’s happening in the neighborhood. 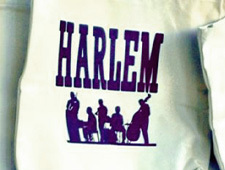 Between new restaurant openings, arts, and events, it’s really the go-to place for all things Harlem! Balancing poses are some of my favorites to practice and teach, partly because watching the process and the progress is so enjoyable. We’re used to standing on two feet, but take one away and we often feel like we’re tumbling out of control. One of the ways I think of balance is with the idea of a tree. Trees are firmly planted into the earth with roots that dig deep underneath what we can see. From that base the trunk, limbs and leaves can flower easily. Even thought a tree is planted in one place, the entire structure is actually built to move. Whether it’s a spring breeze or a hurricane, trees must move with the wind and weather. When we’re balancing in even the simplest versions of one leg standing postures, we too must be firmly rooted yet open to small fluctuations in movement. Anticipating and gently responding to these minor shifts is what allows the illusion of motionlessness in our balancing posture. A few weeks ago I had the pleasure of helping out Land Yoga student, Porter in one of his artistic endeavors. 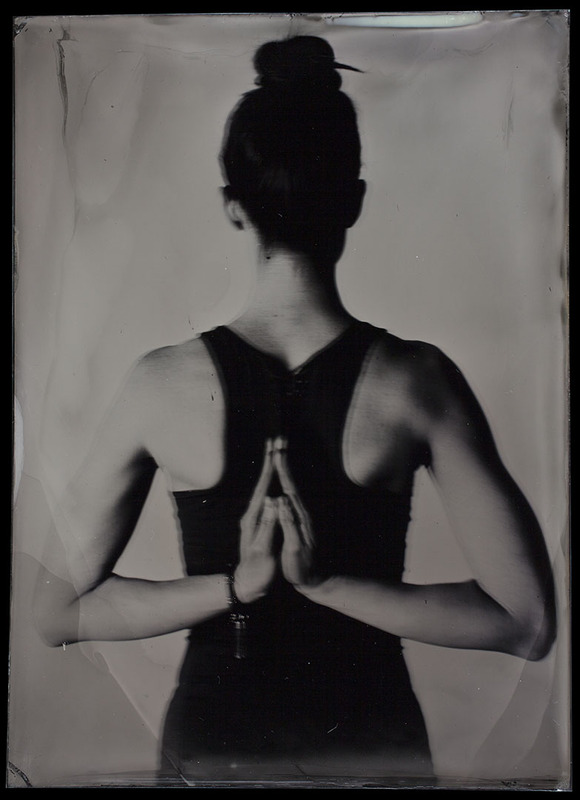 Porter is a dedicated morning Mysore practitioner and a photographer. He spends a lot of time around some awesome artwork, but found himself using an iPhone for most of his photography! 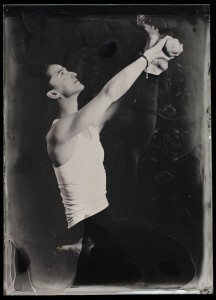 In order to create some sort of balance with this super 21st Century tool, he took a class at the Center for Alternative Photography on an old 19th Century technique called wet plate shooting. These images are created on an actual metal plate instead of on film, and require an almost ten second exposure time! We spent a lovely Wednesday evening shooting some yoga postures. Finding the right balance of light, exposure time, and color is tricky to say the least. Black yoga pants look invisible against a blue backdrop, patterns we saw clearly in the studio were invisible in the photos, and because this process creates mirror images, the final product is always a bit different than we imagine. The most striking and exciting image for me is our first take of Utthita Hasta Padangustasana. Initially it looks like a bit of a flop. The plate hadn’t been completely coated in the pre-picture process, resulting in a little drip of black over my face. It seems I might have moved a bit too much because my body is a little blurry. But then I realized that the image is really a gem. It so clearly shows the rooting and movement balance I often think about, that might have been invisible in the instant exposure time of a modern camera. At the base of the image you clearly see my foot, rooted deep and firm into the floor. But, as your eyes move up the picture my body becomes less clearly defined…as I said, a bit blurry. I’m allowing the rooting down to allow for movement up top. I’m creating a base and letting that do the work, and the rest just grow upwards. It’s not a still static thing, but a moving, breathing pose! Because yoga and art are both really just mirrors into our daily existence I started thinking about how to find the same grounding and balance in everyday life. Enjoy and (try to) anticipate the small gentle movements, the imperfections and chances to test grounding and opportunities to pull back towards center. Lay good foundations, and if you fall over, just plant yourself again!